If your organization is in two minds about choosing between SD-WAN vendors, then you have come to the right place. With so many options available in the market these days, there is no dearth of providers vying for the customer’s attention. However, as an organization, you have to be very particular about the services being provided by each SD-WAN provider so that there are no compromises on any front. 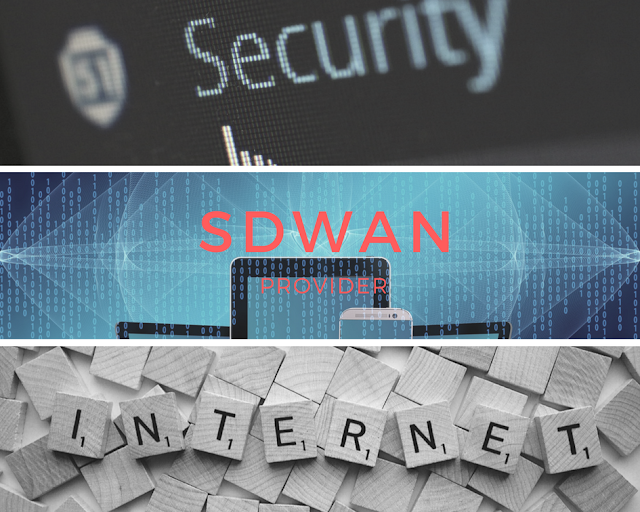 Instead of this, let’s take a quick look at some of the things which you should consider before choosing a SD-WAN provider. Unlike the traditional WANs, SD-WANs are more independent, carrier agnostic and transport agnostic. WANs are built to carry data traffic through a single channel transport carrier, which usually spells out MPLS links. On the contrary, SD-WAN can be configured to transfer data traffic on different transport channels simultaneously. With this technology in place, your organization can go a long way by using less expensive technologies, which includes broadband channels to carry out non-critical data transfers. Security is of utmost precedence when it comes to SD-WAN deployment. If you are evaluating a service provider, you would like to ensure that the vendor has proven flexibility across different security solutions which might already be in place inside the organization, thereby making it a flexible implementation structure. If the provider has built the SD-WAN structure basis just one security connection model, then it would fail to meet the configurations of other security vendors. Depending on different business models, companies and organizations alike carry out different level services for their data management. For example, one company might be dealing with transferring data from their retail locations to their cloud services, while at the same time; they might want to transfer their retail outlet surveillance data through some security channels. Since there are different tiers of data management, SD-WANs need to be capable of handling such variations in data and provide multi-tiered services. As an organization, you don’t want to get into the DIY mode. Keeping this thought in mind, it’s imperative for the SD-WAN provider to be the ultimate manager of end to end services within the organization. This way, there would always be round the clock support for the organizational issues which might be related to the concept of SD-WAN. It’s better to have an expert available, rather than get into the DIY mode. SD-WAN give the benefits of being able to employ great flexibility between lots of different connection modes. This includes effortlessly making use of Wireless technology, MPLS links, WANs, etc. to transfer data from one place to another. A reputed SD-WAN provider should equip an organization with these facilities to seamlessly transfer data through all these channels, without disrupting services in the long run. As SD-WAN gains a lot of traction in the markets these days, there is a lot of conversation which is happening around its increased use. Organizations are swearing by the benefits, as SD-WAN continue to gain importance and impart benefits in multiple spheres of operation.